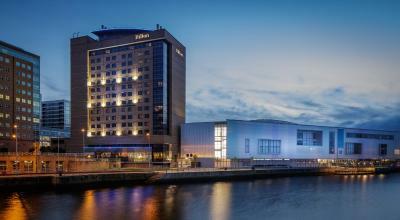 Lock in a great price for Hilton Belfast – rated 8.4 by recent guests! Didn't have breakfast, thought it a bit pricey! The Hilton-Belfast always makes me feel at home. It’s location is great; the staff are always helpful and friendly. Bed very comfortable. Quiet location and central to the city. Lovely breakfast options. Very clean. Excellent staff - particularly Steph. Very helpful. Comfortable & spacious rooms. The bed was the most comfortable we've stayed in. The breakfast selection was first class and we received such great service- all staff were really friendly. The location is perfect and the price perfect. So easy to get to Waterfront. Bar food very good and reasonably priced. The front desk staff were very helpful. The breakfast was very good. Hilton Belfast This rating is a reflection of how the property compares to the industry standard when it comes to price, facilities and services available. It's based on a self-evaluation by the property. Use this rating to help choose your stay! 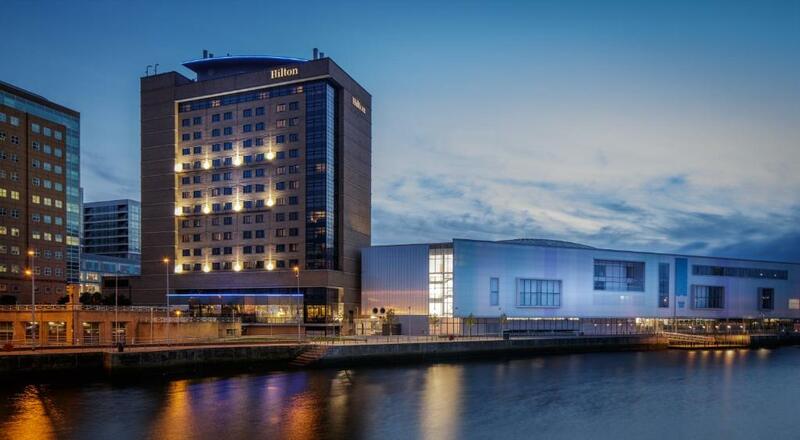 One of our top picks in Belfast.Next to The Waterfront Hall convention center, Hilton Belfast has a fitness room and a modern bar and restaurant. 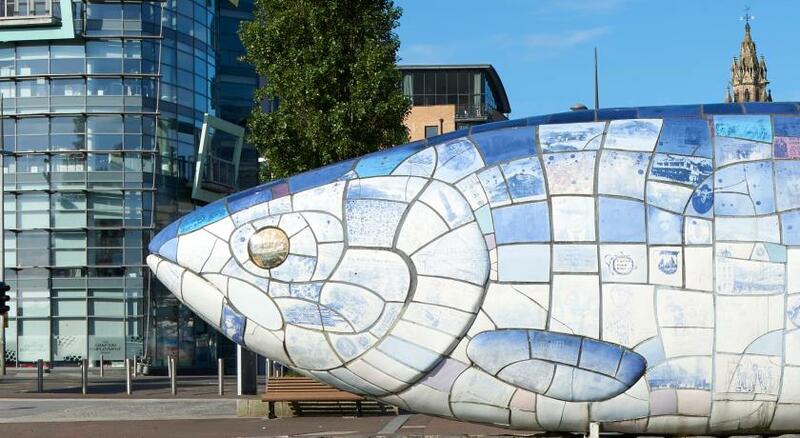 Overlooking the River Lagan, Belfast’s vibrant city center is under a mile away. This 4-star Hilton’s spacious rooms each feature a flat-screen TV with pay-per-view channels, a mini-bar, a marble bathroom and 24-hour room service. Many rooms enjoy city, river or mountain views. With riverside views and floor-to-ceiling windows, Sonoma Restaurant offers a menu with Irish produce including Irish lamb. The relaxed Cables Bar serves tapas and a range of wines and cocktails. 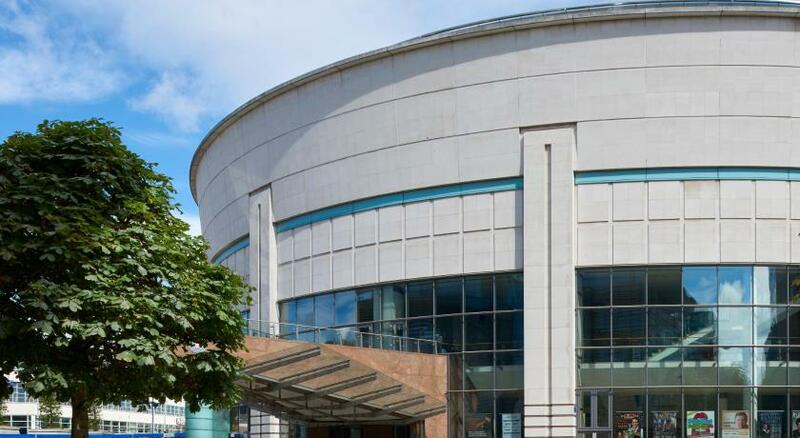 Guests attending events at the Belfast Waterfront convention center can walk between there and the hotel without leaving the building. 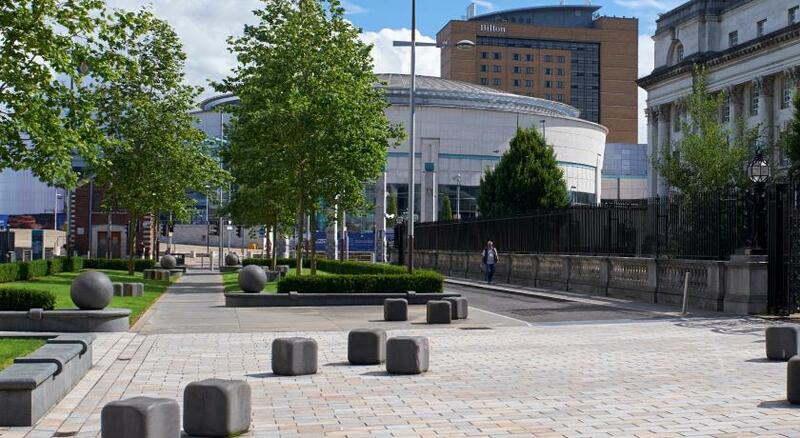 The Odyssey Arena is just a 15-minute walk from the Belfast Hilton. Belfast Cathedral and a range of city-center shops are a 5-minute taxi ride away. When would you like to stay at Hilton Belfast? 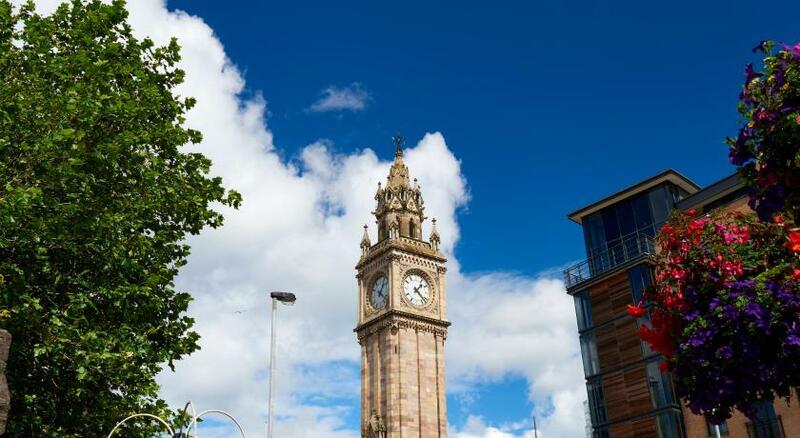 The King Executive Room is located on the upper floors of the hotel, and offers views of Belfast. Guests receive access to the Executive Lounge with this booking, which offers a complimentary breakfast and refreshments throughout the day. Additional amenities include bathrobes and slippers, mineral water, a 37-inch LED TV, mini-bar and in-room safe. Private parking is available on site (reservation is not needed) and costs GBP 18 per day. This air-conditioned room comes with a mini bar and a flat-screen TV. Additional amenities include an in-room safe and ironing facilities. These contemporary rooms have city, river or mountain views and high-speed internet access. Each bright and airy room has twin beds and a marble private bathroom. This room offers views of Belfast, or the surrounding river or mountain, and access to the Executive Lounge, which offers a complimentary breakfast and refreshments each day. Additional amenities include a living area with a sofa, and a work area with a desk and tea/coffee making facilities. This room includes river or mountain views, a complimentary breakfast and refreshments, and Executive Lounge access. Additional amenities include bathrobes and slippers, mineral water and a mini-bar. These rooms feature a 37-inch LED TV, a mini-bar and ironing facilities. Additional amenities include views of the city, mountain or river, bathrobes and slippers, and mineral water. These rooms are located on a high floor and offer views of Belfast, or the nearby mountains and river. Guests will find bathrobes and slippers, and mineral water in addition to an LED TV, a mini-bar and ironing facilities. The suites offer enhance views of Belfast or the river, and a larger living room with a 42-inch LED TV. 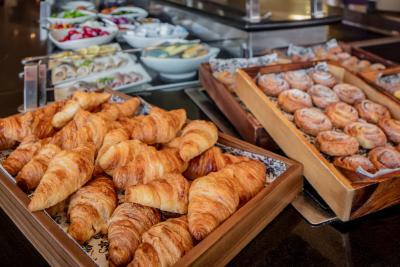 Access to the Executive Lounge is also included, which offers a complimentary breakfast and refreshments throughout the day. Additional amenities include bathrobes, slippers, mineral water and ironing facilities. This connecting room is well-suited for a family of four, with a king-sized bed in one room and twin beds in the other room. 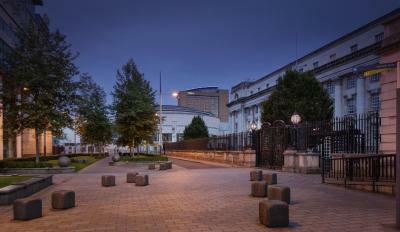 Located in the heart of Belfast next to the Belfast Waterfront Hall. 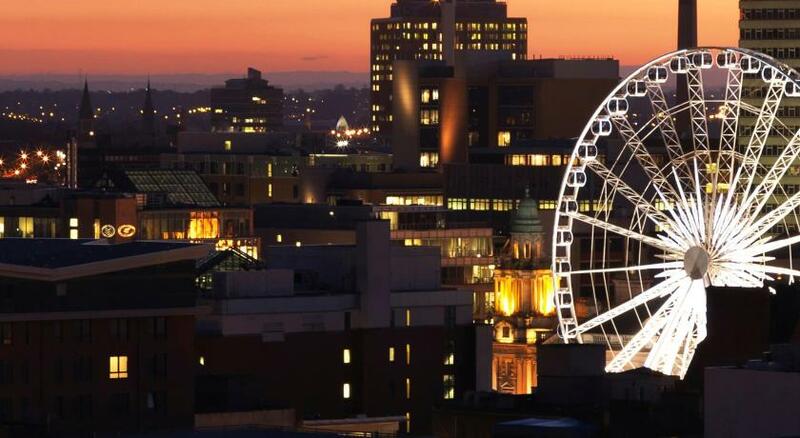 We are the only hotel in Belfast with an Executive Lounge which offers views over Belfast from the 11th Floor. 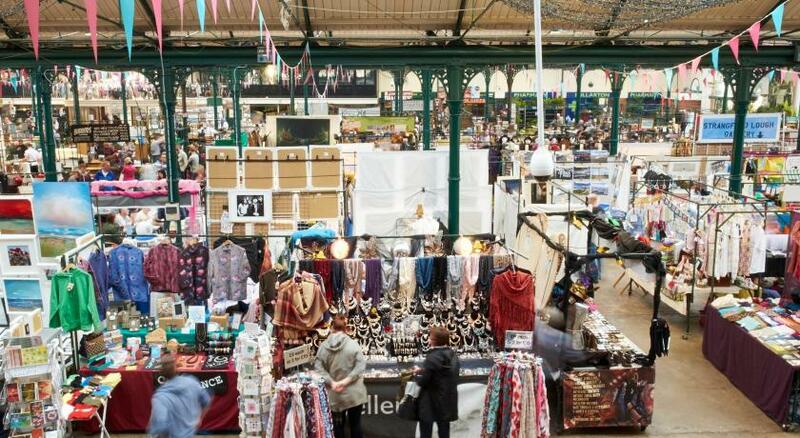 We are minutes from St. Georges Market, City Hall and Victoria Square by foot and approximately one mile from the SSE Arena, Odyssey Pavillion and Titanic Belfast. 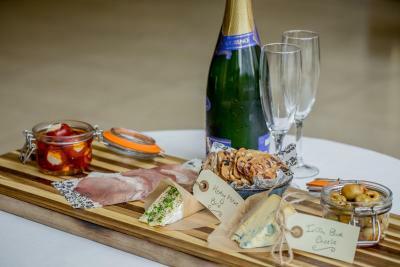 House Rules Hilton Belfast takes special requests – add in the next step! Hilton Belfast accepts these cards and reserves the right to temporarily hold an amount prior to arrival. Prices in bar/restaurant. £5 room service charge per order. The dreich weather... but we're used to it. Great location in the city centre and close to all the shops, bars and restaurants. 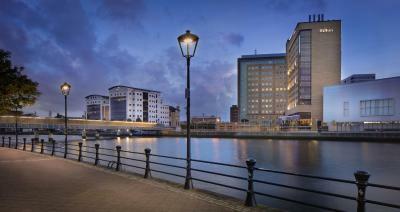 Nice location on the river and not far from the Titanic Quarter. It's relatively easy to walk everywhere and take a bus or taxi tour to get to know the city which the fabulous concierge was able to organise for us. The location is fantastic, room was excellent. Staff were so lovely and friendly. Very comfortable twin room. Perfect location for the train station and the shopping area. Great location and all the staff were really friendly and nice, will definitely go back. Went for my dads 70th and the hotel had a bottle of champagne left in his room, which was very nice. Great central location to the city centre. Perfect location if you want to go shopping or go out at night. Rooms were tidy and spacious.